The total number of apps available is about to cross 300k though over 350k have been “seen” on the store at any one time. Almost 61k apps have been removed from the store. There are about 61k unique app publishers. Books has been the most popular category for some time (51k titles). This does not include books available through iBooks. 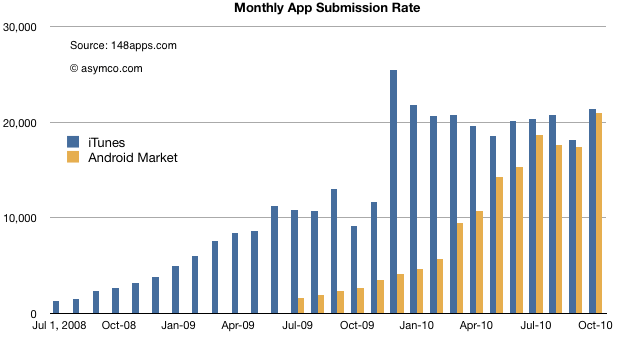 The Android Market is growing at approximately the same rate with androlib.com estimating 21k being apps added in October.